Arthur A. Levine Books, 9780545434188, 320pp. Her friend Jackson shares these visions of a different world--and together, they manage both to remember the way things ought to be, and to plan a daring mission that will reset the universe once again. It will involve objects from the past, knowledge of the future, a leap into the unknown ... and in the end, a sacrifice Sarah never imagined. 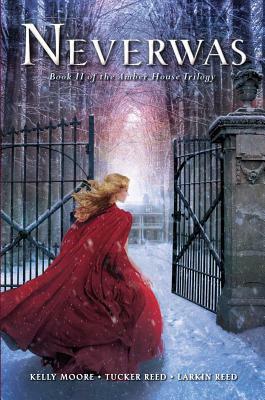 Kelly Moore wrote the beginnings of the AMBER HOUSE series years ago, but it wasn't until her daughters Tucker and Larkin Reed found the manuscript and convinced her to work on it with them that it became a full-fledged trilogy. All three ladies reside in southern Oregon.